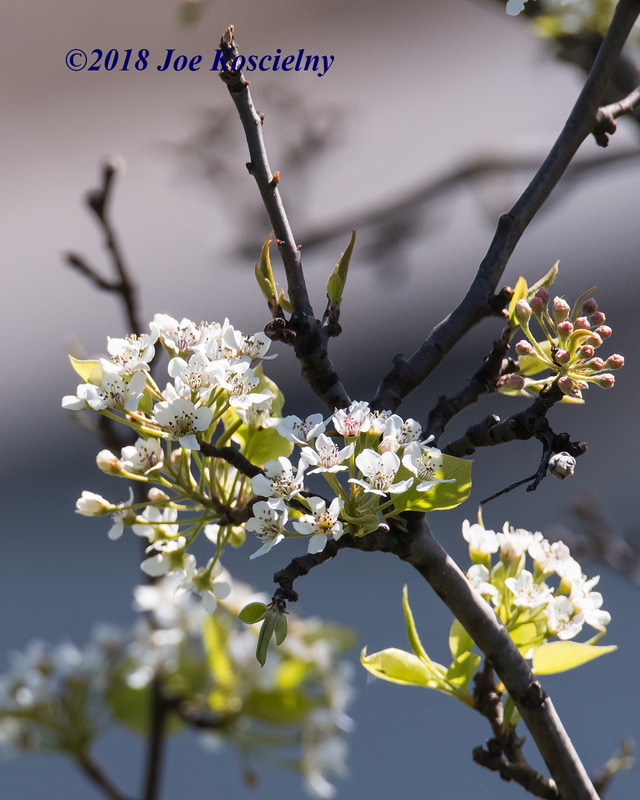 Losen Slote Nature Walk and Cleanup This Sunday (May 6)! 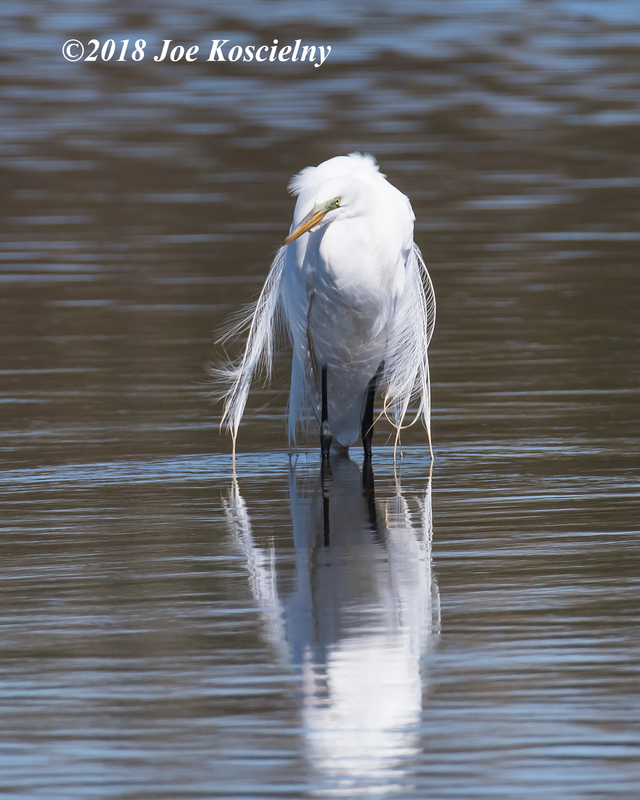 The Bergen County Audubon Society is leading a nature walk through Losen Slote Creek Park in Little Ferry followed by a park cleanup this Sunday, May 6. 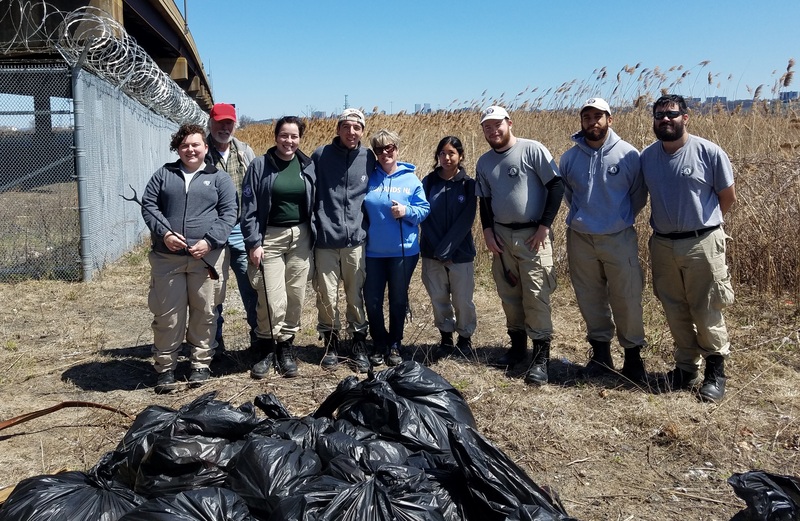 The walk goes from 9 to 11 a.m. and the cleanup starts after the walk and will last until approximately 12:30 pm. 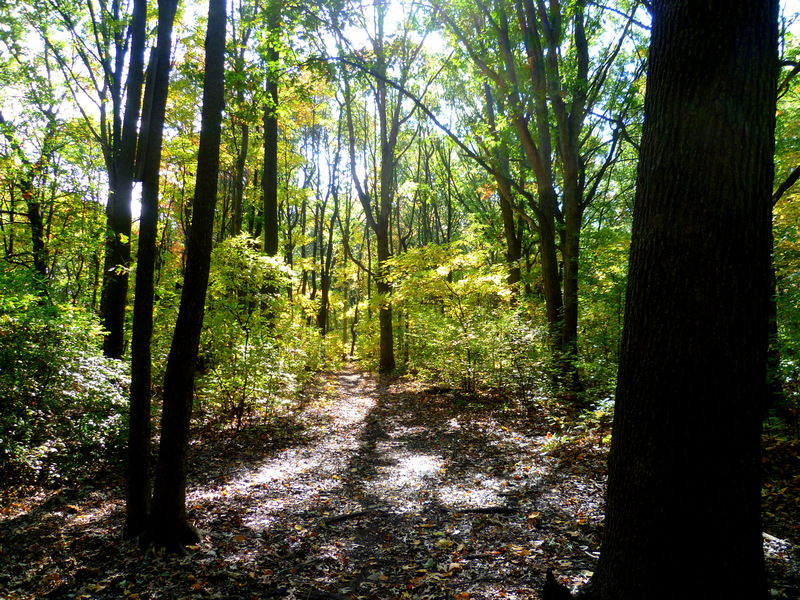 Losen Slote Creek Park is one of the area’s few remaining lowland forests. 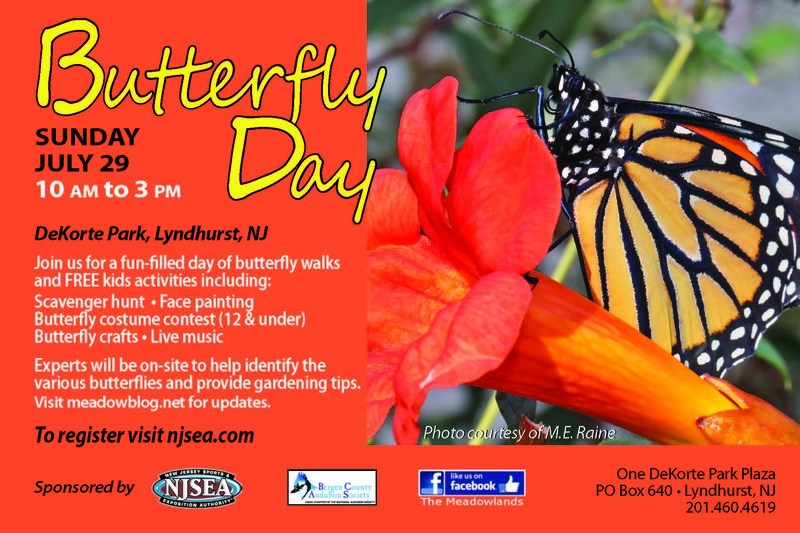 During the nature walk they’ll be looking for spring migrants, warblers and thrushes. Please bring gloves and wear appropriate clothes for the cleanup. 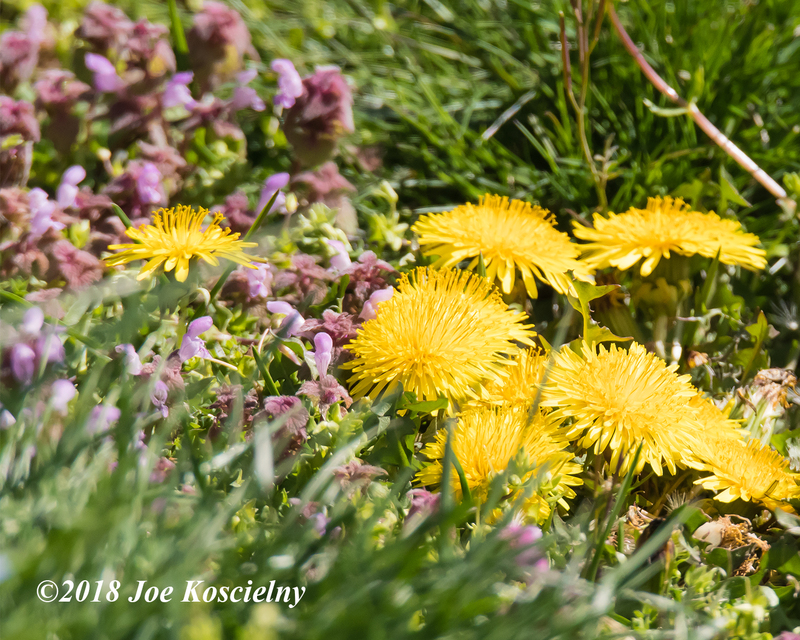 Joe Koscielny photographed a great variety of bird and plant species during the Bergen County Audubon Society Earth Day walk at DeKorte. More from Joe to come later. Thanks Joe!! 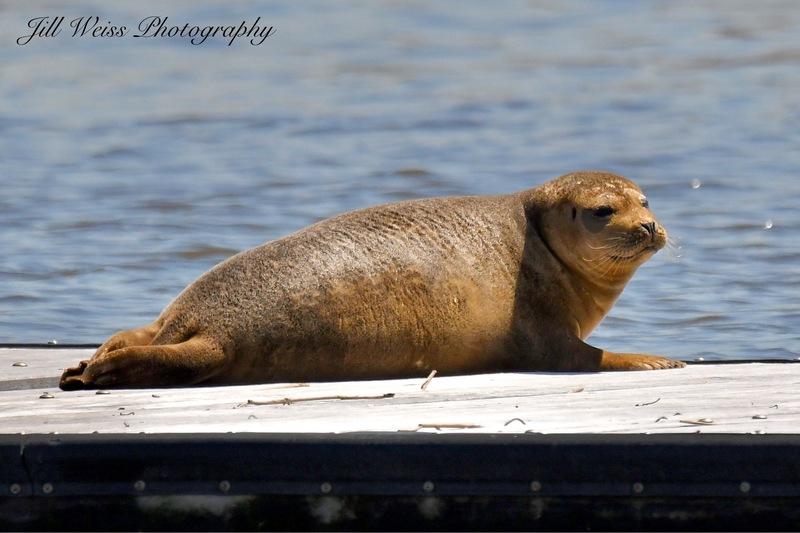 The next BCAS Meadowlands walk is this coming Sunday, May 6, from 9 to 11 a.m. at Losen Slote Creek Park in Little Ferry. The walk will be followed by a park cleanup. 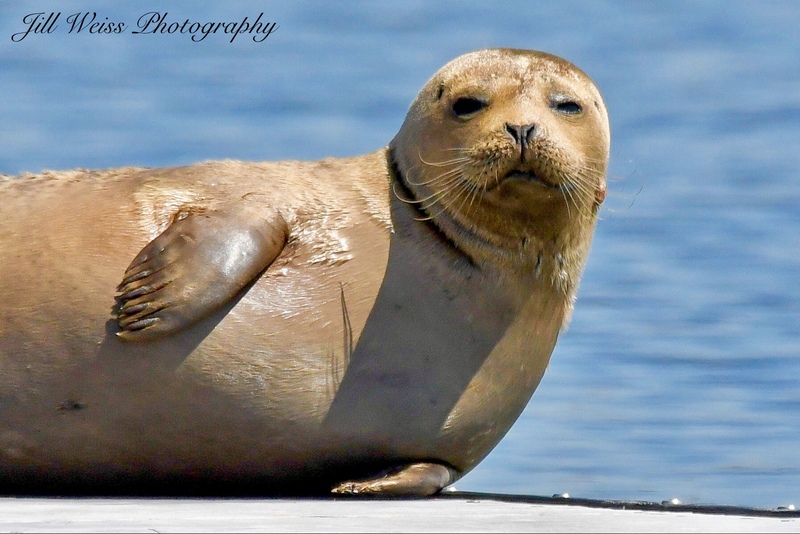 For information contact Don Torino at greatauk4@gmail.com or 201-230-4983. 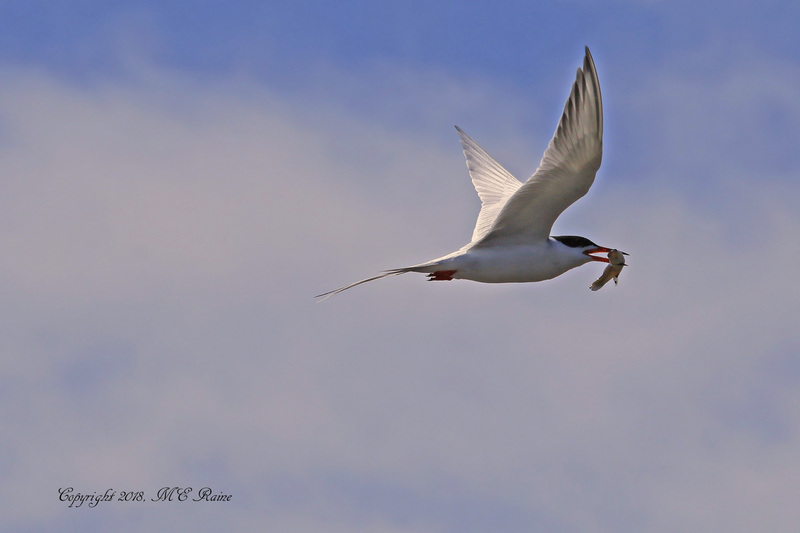 Thanks to Mickey Raine for these photos taken yesterday of a Forster’s Tern after a successful hunt for a snack! 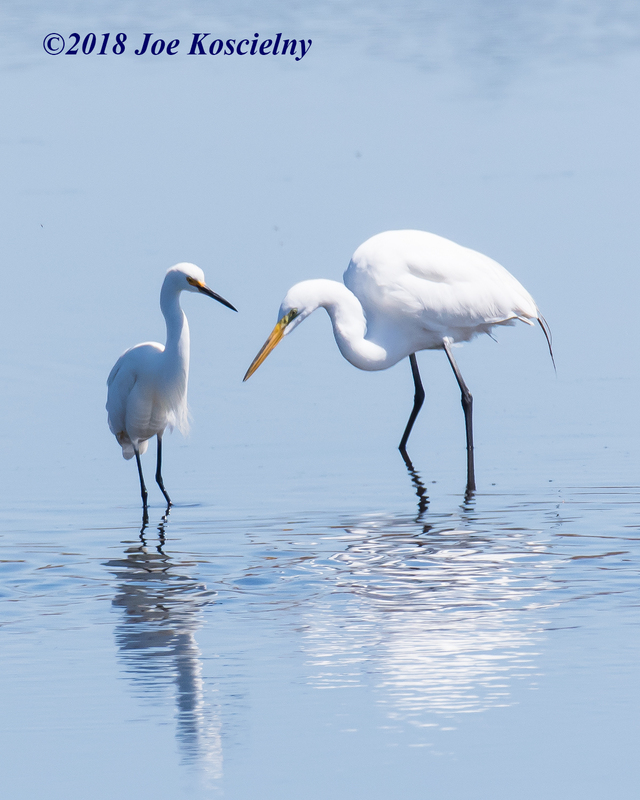 Meeting of the minds above between a Snowy and Great Egret. 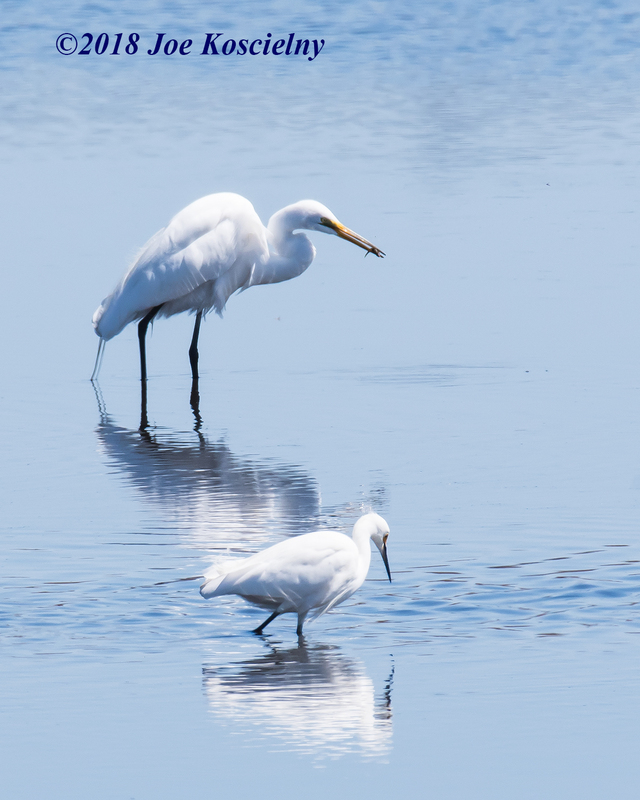 It’s all egrets in this post. 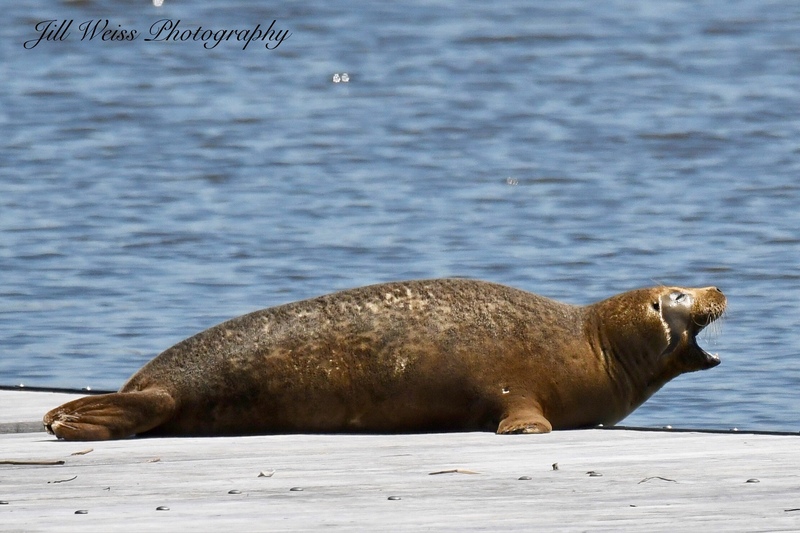 Thanks to Joe Koscielny for the great pics! 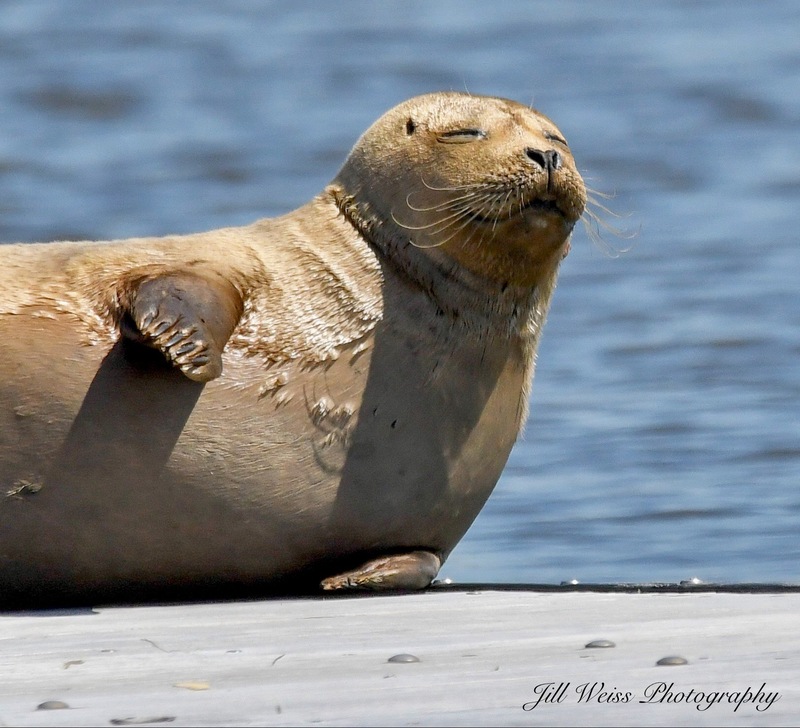 Haven’t seen the Harbor Seals out at River Barge Park the last couple days but here are some wonderful photos that Jill Weiss took earlier in the week. Love the expressions! 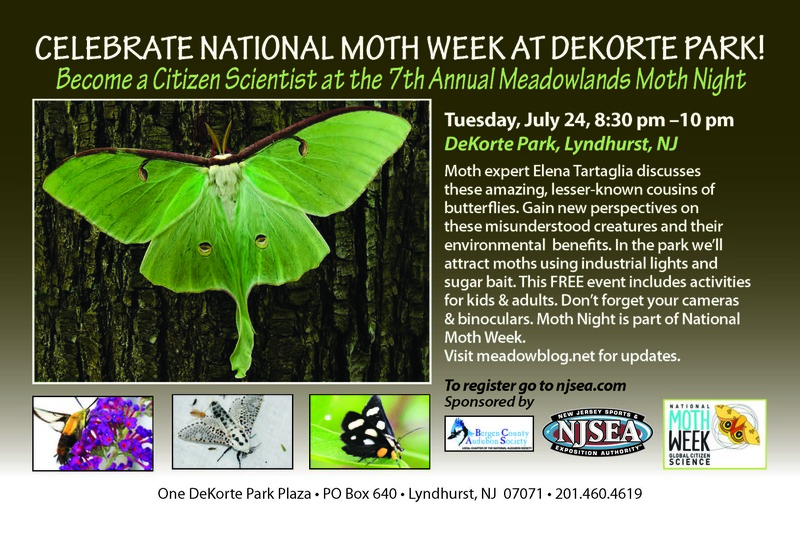 Arriving Now in the Meadowlands! 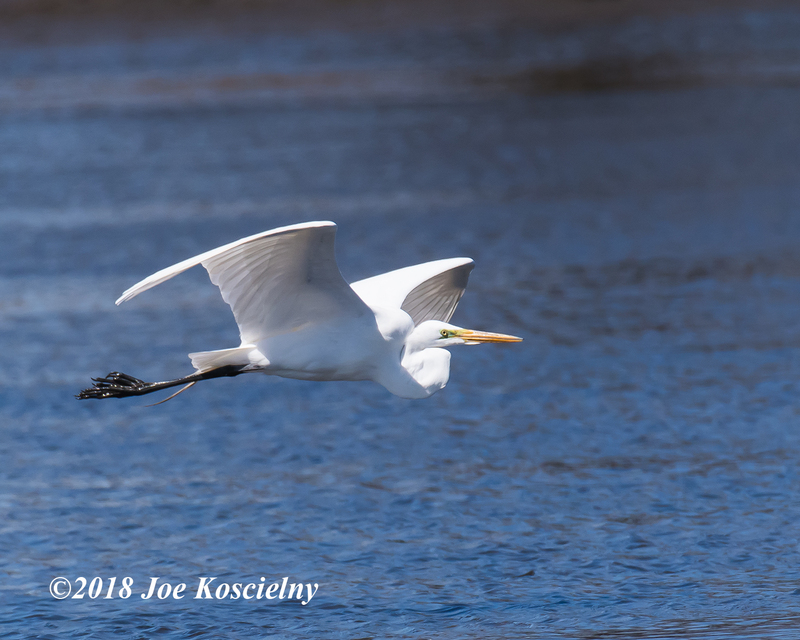 Thanks to Chris Takacs, Field Trip Chairman of the Bergen County Audubon Society, for the following update on what birds are taking up residence in the Meadowlands, and the accompanying great photos! 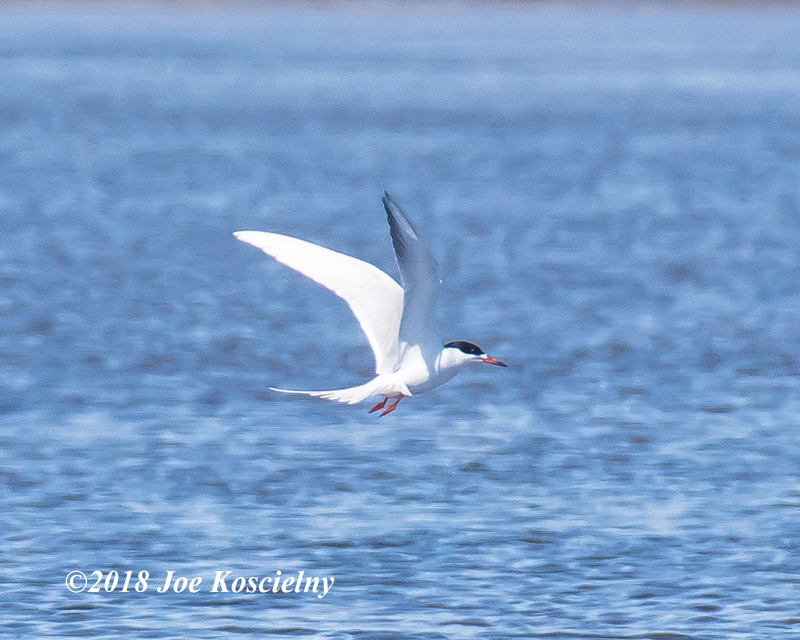 From Chris Takacs: This is the time when the waterfowl move north to breed and shorebirds move in to the Meadowlands to refuel on their way north. 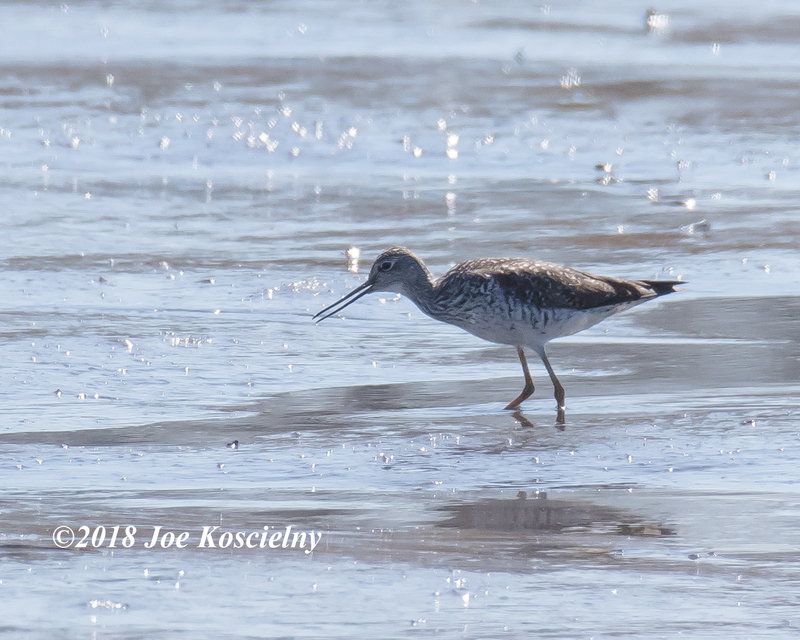 Yelllowlegs are now seen everyday and expect Least Sandpipers and Spotted Sandpipers to arrive. Savannah Sparrows have arrived and expect to see Field Sparrows and Towhees too. 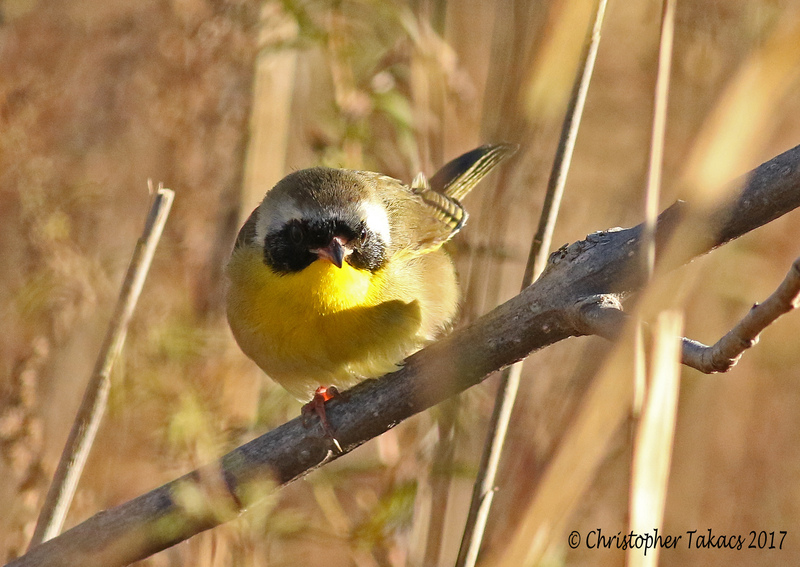 Palm and Yellow-rumped Warblers have been seen for two weeks, but now is the time to look for our breeding warblers, Common Yellowthroats and Yellow Warblers. 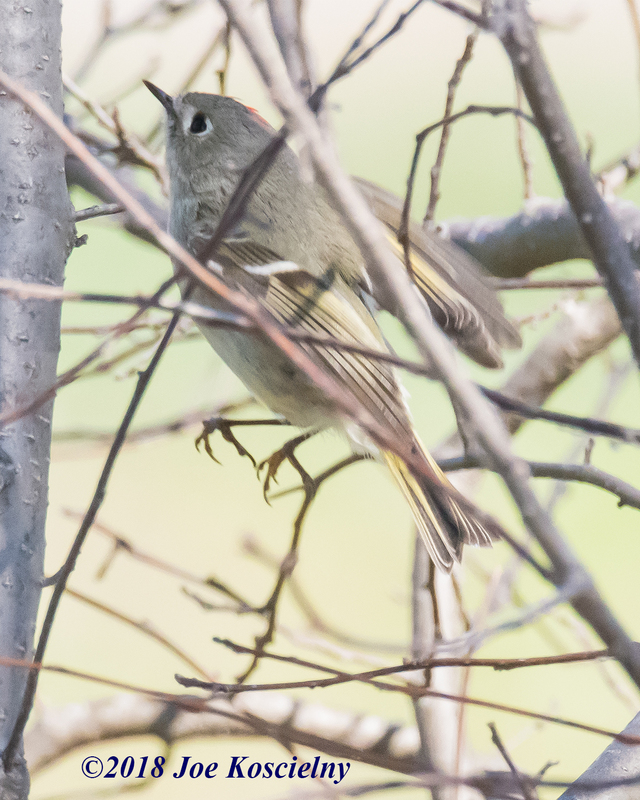 Migrant warblers will begin to move through the Meadowlands. 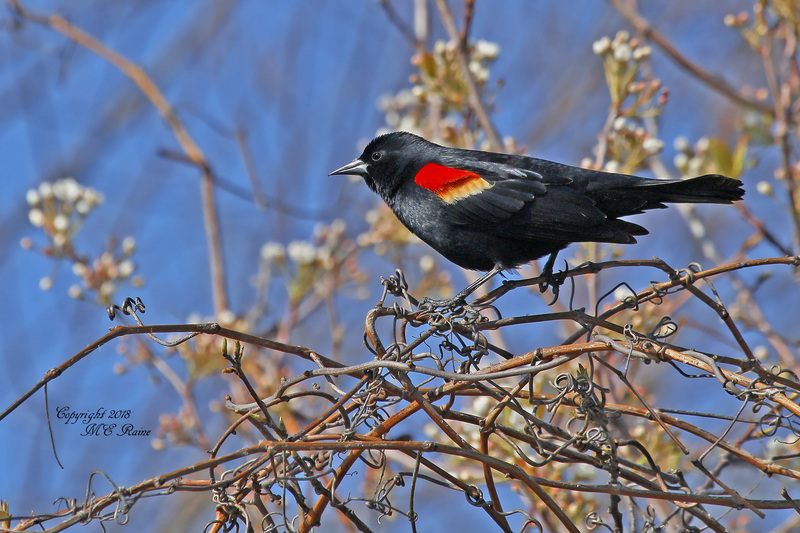 Look for Black and White, Prairie, American Redstart, Black-throated Blue and Northern Parula. 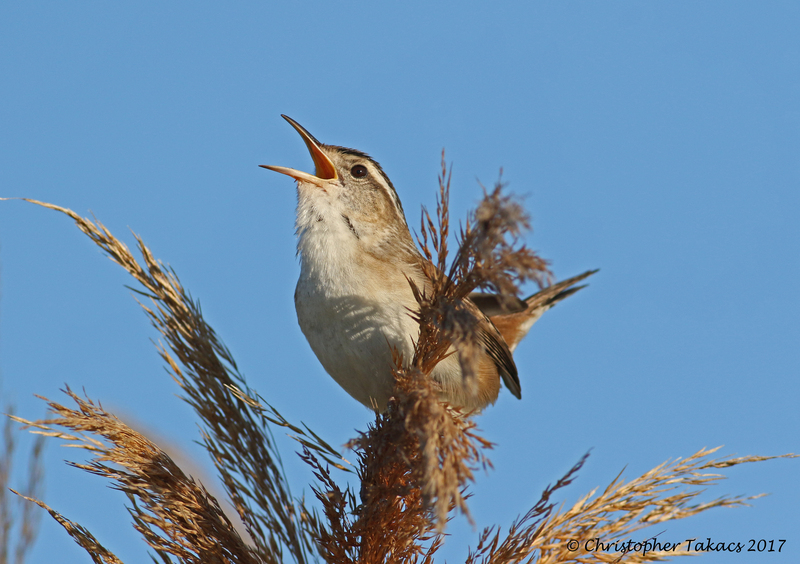 Marsh Wrens, the tiny ones in the phragmites, are starting to arrive too. 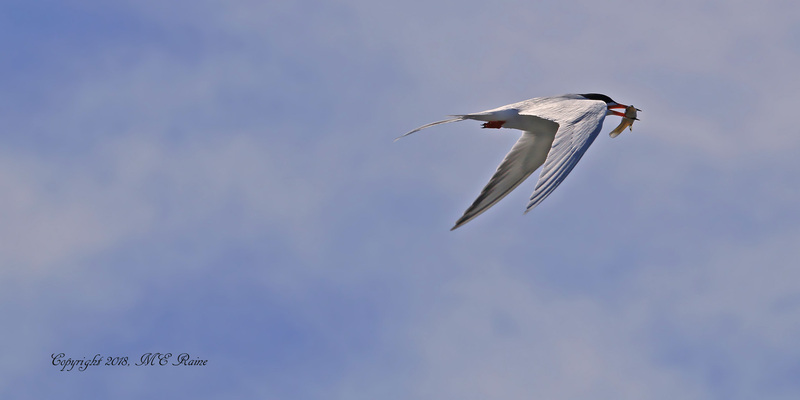 Fortster’s Terns have arrived and the time is now to watch their courtship rituals of sharing fish. 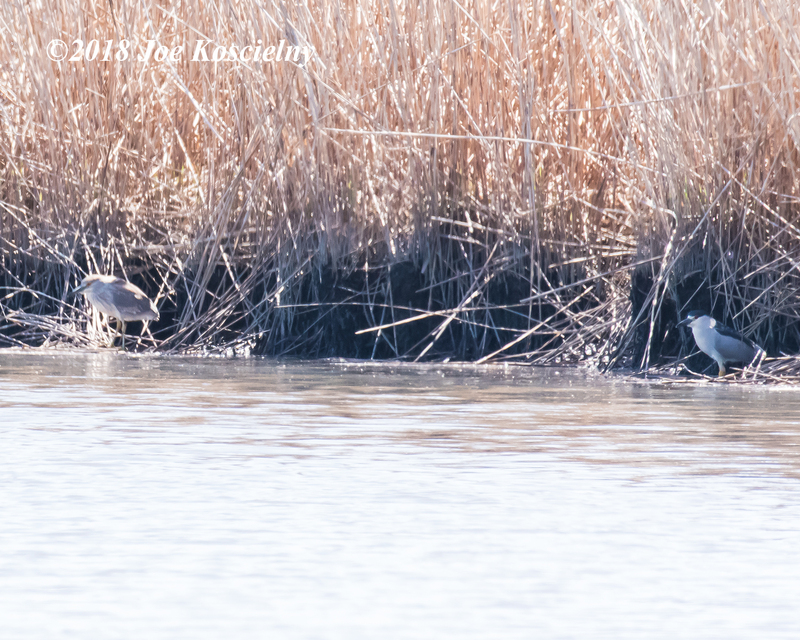 Least Terns are due to arrive soon too. 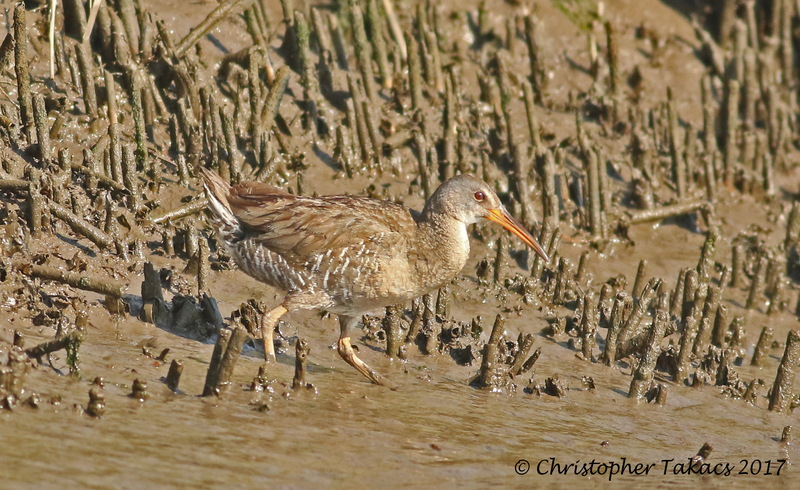 Check DeKorte Park for American Coot, Clapper Rail and Common Gallinule as these local scarce breeders begin to arrive. 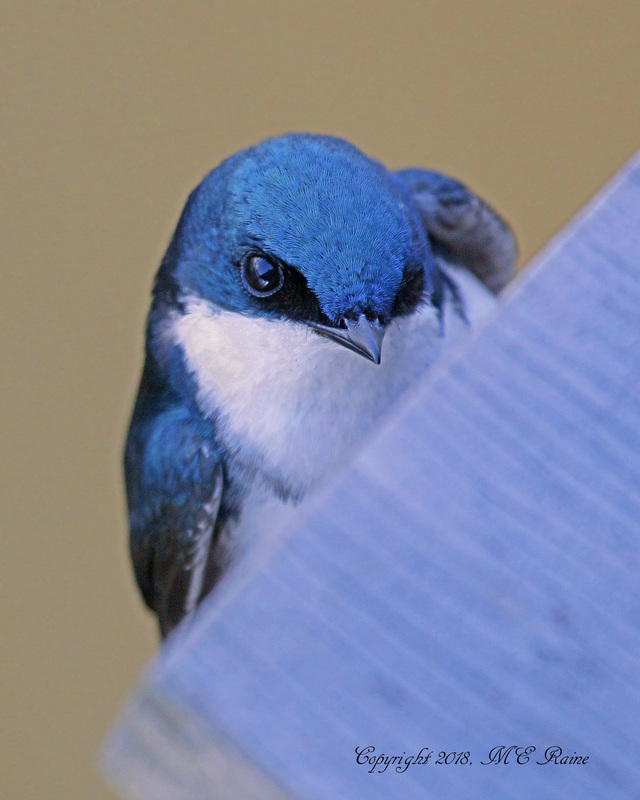 Orchard and Baltimore Orioles, nesters in DeKorte Park, should arrive this week too. 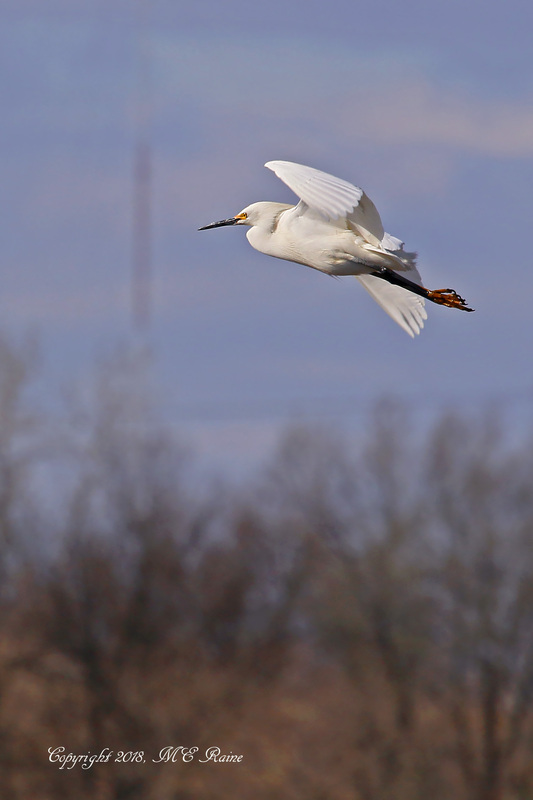 It’s an exciting time in migration as the weather warms and the birds arrive. My Fourth grade teacher Ms. Henderson at Jackson Avenue School in Hackensack was the first to tell me of the wonders of the bird world. 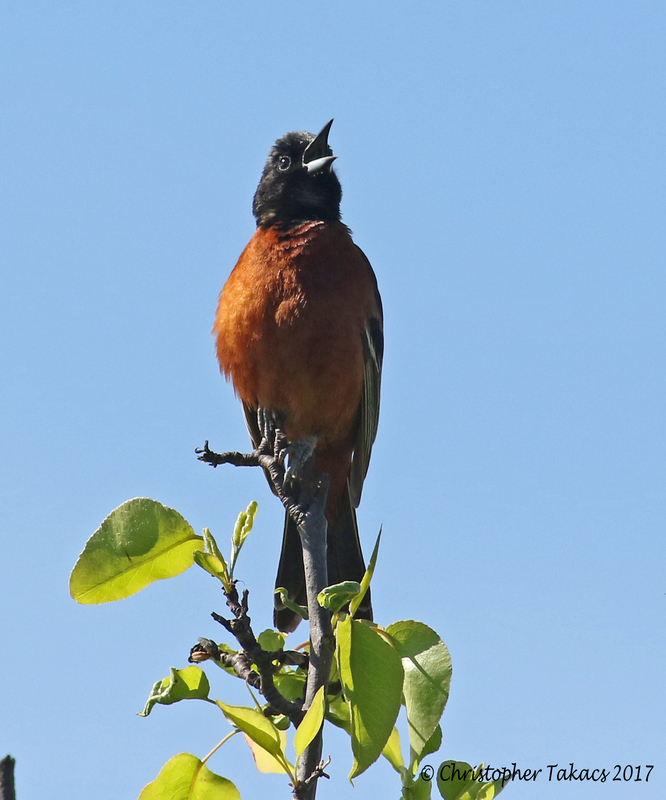 I was privileged enough to learn about Baltimore Orioles, Robins and Cardinals right from my classroom window. 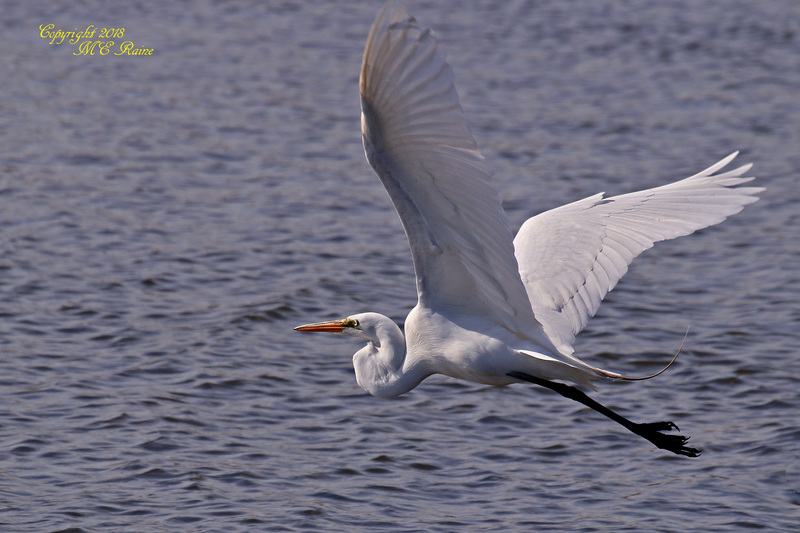 Ms. Henderson gave me a lifelong love and fascination of nature and our birds that I have cherished for a lifetime. Today one of my joys in life is having the honor of visiting local schools and giving back to the students what Ms. Henderson gave so unselfishly to me many years ago: the love of birds. 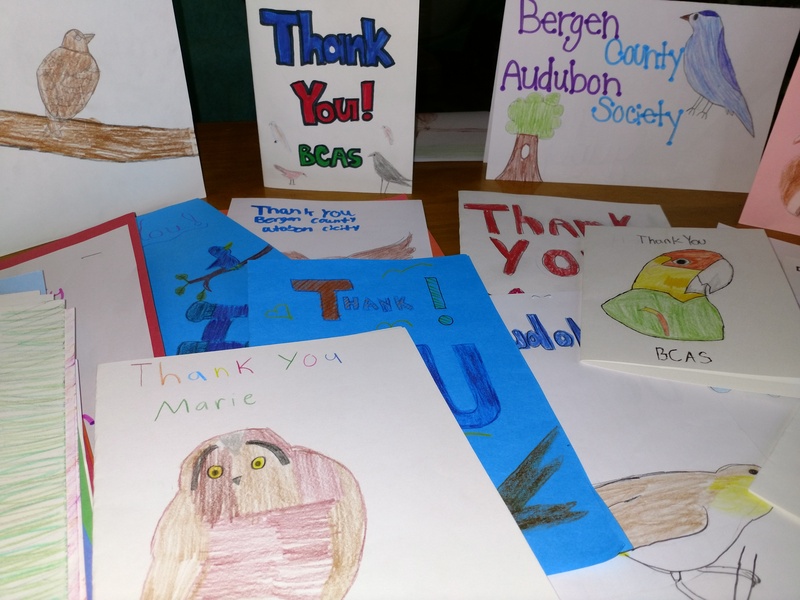 For years Bergen County Audubon Society has partnered with the Saddle Brook Middle School helping Mrs. Dunlap and all the wonderful teachers and students with their Schoolyard Wildlife habitat and the Great Backyard Bird Count. 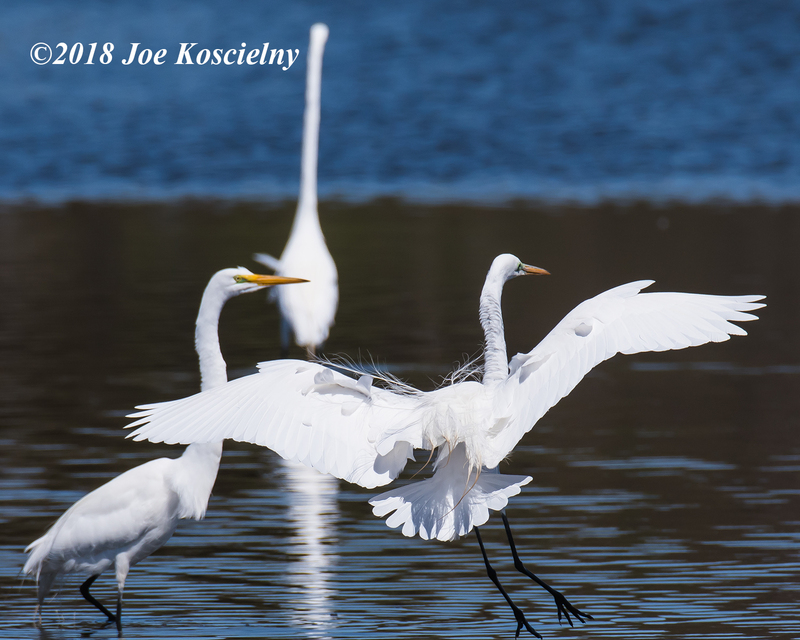 Thanks to Mickey Raine for these great photos of a stylish Tree Swallow, Snowy and Great Egrets, and a Red-winged Blackbird during a recent outing to DeKorte!